Vin Diesel, current leading contender for greatest interviewee of all time and star / producer of the ever-expanding Fast and Furious franchise, has now confirmed that a potential batch of prequels and spin-offs are currently in development. "We’ve written out story lines for various characters," Diesel tells Variety. "We’ve been playing with it for a long time. It’s a very rich property and we’re committed to treating it with a lot of class." These franchise expansion talks were also confirmed by Universal Pictures Chairman Donna Langley, who says the studio is "certainly in conversations" about how to make it happen. "It’s an ensemble cast and there’s room to bring characters in and out," says Langley. 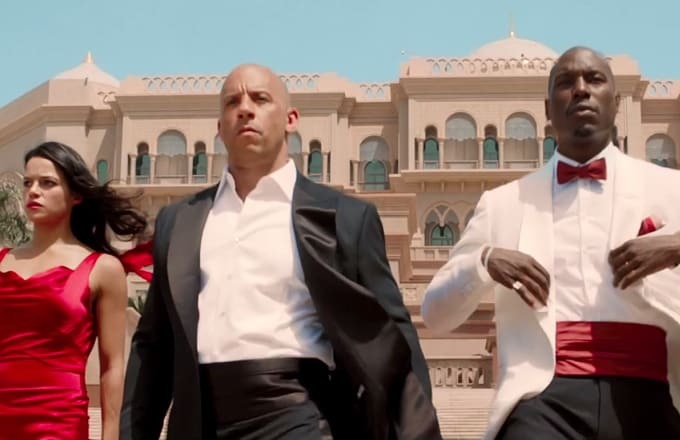 The focus, however, reportedly still remains on Diesel&apos;s previously promised "final trilogy" of Furious films, starting with the so-called Furious 8 with Straight Outta Compton director F. Gary Gray. Brace yourselves, Furious ones. This means the franchise only has one more trilogy, an untold amount of prequels, and an equally untold amount of spin-offs left before fizzling out for good. To quote the Diesel himself: "Anyone could be a witch," which certainly has no relevance to this at all but, wow, makes you think.